Carrara 12 in. x 24 in. 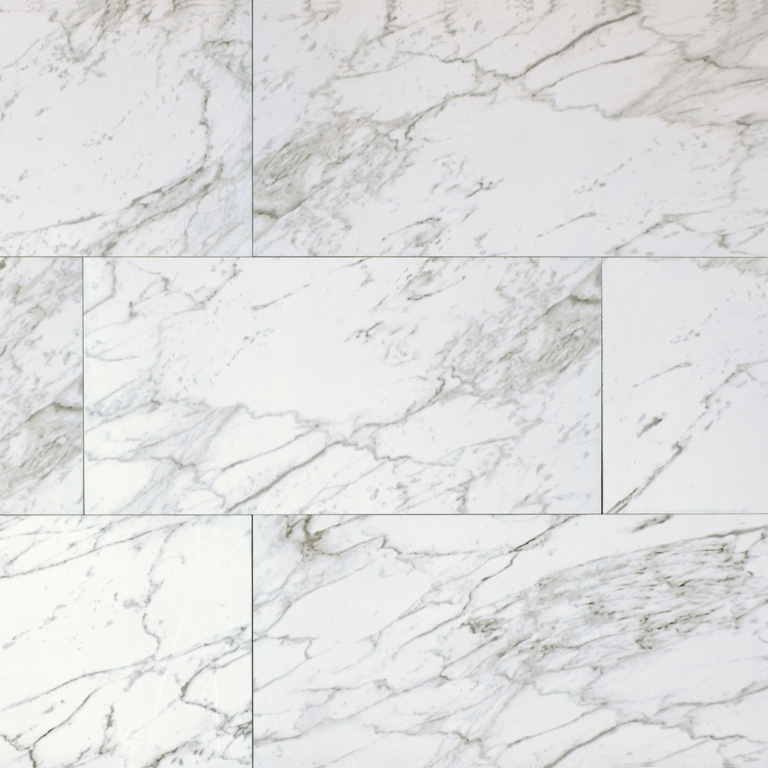 glazed porcelain tiles from the Pietra collection featuring dramatic gray veins of natural marble, in an easy care porcelain tile that never need sealing. Available as large format 12 in. x 24 in. tiles in matte finish, this tiles are suitable for a variety of projects including floors, and accent walls.